Talk and text easily with the LG 500G and its full Qwerty keyboard. This is one of the most feature rich phones in its price range and it comes in a sleek, easy to hold package. Take advantage of your phone handsfree thanks to its bluetooth technology. 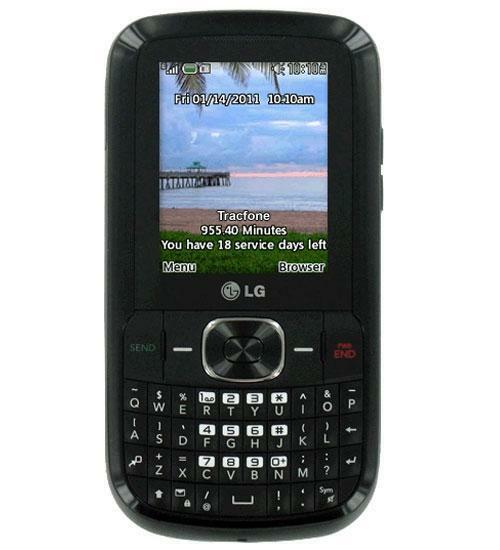 The LG 500G also sports advanced features like app capability, a 1.3 megapixel camera, MP3 player, and mobile web access. The LG 500G will do everything you need it to do and all for a low price.